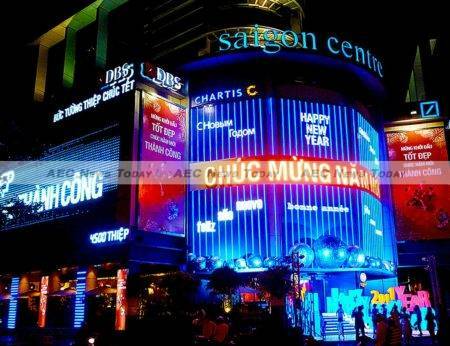 Vietnam’s Ho Chi Minh City (HCMC) property market is responding well to increased investment with retail and residential markets fairing particularly well according to the latest HCMC Market Brief published by Savills Vietnam. 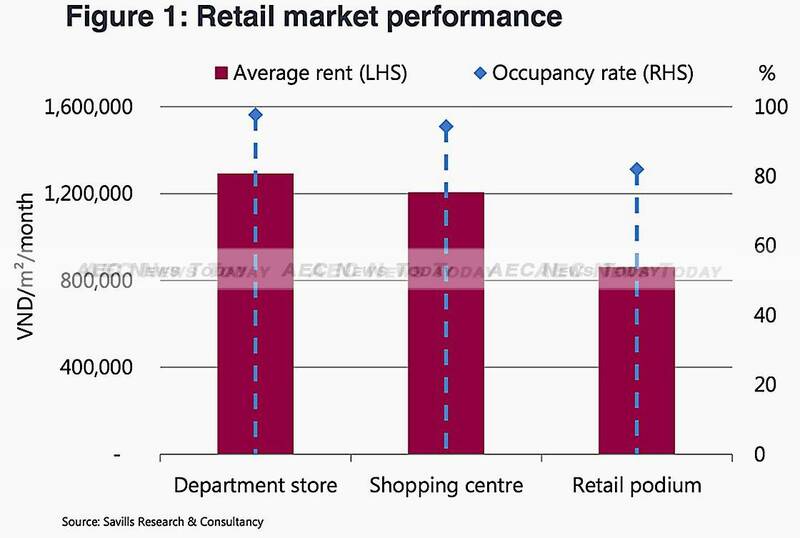 HCMC retail space occupancy averaged 94 per cent in Q4_2015, a two per cent increase over the same quarter the previous year, according to the report released January 16. The city added 84,400 square metres of retail space through five new projects during the quarter, up seven per cent quarter on quarter (QoQ). 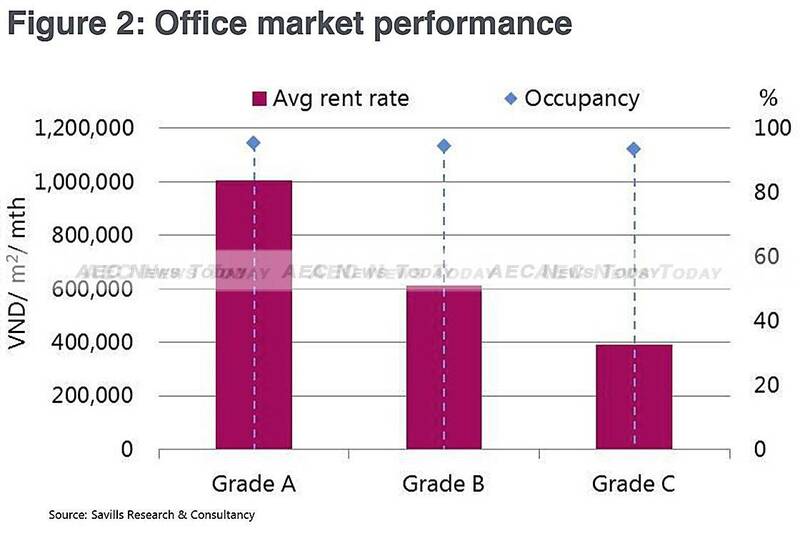 Even with such high occupancy the average gross rent in Q4 fell by six per cent against the same period in 2014. The bulk of this decrease was caused by projects outside the central business district, where retail rent remains very high. According to a report published last year by Cushman & Wakefield, the average rent for retail locations in downtown HCMC is now higher than in more developed cities such as Dubai, Bangkok, and Kuala Lumpur: one square metre of downtown HCMC retail space averages US$ 70, while it costs only US$ 39 in less central districts. Investors have taken notice of this difference with new retail supply in Q4_2015 concentrated in Go Vap District, to the northeast of downtown HCMC, Binh Thanh District, and District 2, both of which neighbour central HCMC to the east. The openings in Go Vap included a hypermarket operated by South Korea’s Shinsegae Corporation, the first of its kind in Vietnam. 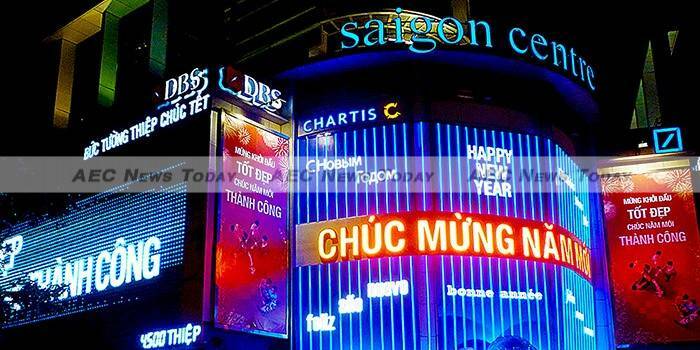 Go Vap, a crowded HCMC residential area which borders Tan Son Nhat International Airport, is attracting more international investment, with McDonald’s and several cinema chains opening outlets last year. Meanwhile, Pearl Plaza, a mixed-use high-rise opened up in Binh Thanh District, while Vincom Thao Dien, the latest mega-mall from one of Vietnam’s biggest property developers opened in District 2. Both are located along the route of Line 1 of HCMC’s oft-delayed metro system, which is expected to become operational before 2020. Savills reported that food and beverage (F&B) services were the focus of these new shopping centres, making up more than 30 per cent of total lettable floor area. International F&B outlets located inside air-conditioned shopping centres are popular in HCMC, where young, upwardly mobile members of the growing middle class often shun the more traditional outdoor food stalls which still make up the bulk of eateries in the city. Competition in the HCMC retail space sector will continue to intensify this year as more international investors join a sector once dominated by local companies. French retailer AuchanSuper plans to open 15 stores HCMC this year with a number of other projects currently under construction – part of an ongoing building boom. After a relatively slow growth period, HCMC’s housing market returned to health last year. Major contributing factors were the revised Law on Housing and Law on Real Estate Business, both of which went into effect on July 1, 2015. These new laws opened up what had been a very restricted market, particularly for foreign individuals and investors. Under the law foreigners can now own homes for 50 years as long as they have an entry visa, while foreign investors of residential construction projects and foreign-invested enterprises can also own homes. According to the HCMC Real Estate Association (HoREA), about 1,000 foreigners registered to buy homes in HCMC in the six months after the revised laws came online, compared to just 250 such transactions from 2008 to July 2015. These purchases were concentrated in the luxury sector, with many such projects reaching completion or beginning construction. Nearly 42,000 condominiums were launched through 78 projects in 2015, an increase of 122 per cent year on year (YoY), according to CBRE. Following the retail trend of building outside the city centre, most new housing was built in the city’s east (47 per cent) and south (27 per cent). This was the most units added in one year in the city’s history, thanks in large part to two major developments: Vinhomes Central Park in Binh Thanh District and Masteri Thao Dien in District 2, both of which are located on Line 1 of the future metro system and expected to open this year. Sales were strong as well, with an estimated 36,160 units sold: up 98 per cent year on year. Apartment construction and sales were also brisk, particularly in Q4. Savill’s estimates that 11,800 units were launched, up 20 per cent QoQ and 100 per cent YoY, as well as the largest new supply in one quarter in the past five years. Roughly 7,700 of these units found buyers, up 47 per cent QoQ and 86 per cent YoY. This strong growth has been aided by government policies, particularly from the State Bank of Vietnam (SBoV) which has increased credit for the real estate market. This has spurred investment from foreign companies, with real estate ranking as the third-most attractive sector in the country. HCMC’s property market attracted US$ 1.3 billion in foreign direct investment last year with continued growth expected in 2016 due to favorable economic conditions and loosened regulations. Michael Tatarski is a writer and editor who has lived in Ho Chi Minh City, Vietnam for over four years. He has covered a wide range of topics, including the environment, social issues, infrastructure, culture, and travel, for a range of publications.